Learn how to establish, monitor and improve a modern Pharmaceutical Quality Management System taking into account Good Manufacturing Practice (GMP) requirements and recent changes in GMP's requirements for Quality Systems. Learn how to establish, monitor and improve a modern Pharmaceutical Quality Management System taking into account Good Manufacturing Practice (GMP) requirements and recent changes in GMP’s requirements for Quality Systems. The Pharma Quality Management Systems online course is available online using a desktop pc, laptop, tablet or even a smartphone. It has been designed for busy Pharma professionals who want to fit short 15 to 30-minute chapters of learning into a hectic work schedule and cannot afford three, four or five days out of the office. If you plan to pay by credit card then you should first look at this helpful information. Payment can be made by cheque, electronic transfer, credit or debit card. Login details will be sent shortly after payment has been made. VAT will be charged for delegates doing the course who are based in the UK. However, delegates from outside the UK but within the European Union (EU) will not be charged VAT if they supply their own company’s national VAT number when booking. VAT will not be charged for any delegates from outside the EU. To try a free Taster course including 3 Chapters of the programme subscribe by clicking on the link in blue in this sentence. This Pharma Quality Management Systems course explains how to establish, manage, monitor and continually improve a forward thinking modern Pharmaceutical Quality Management System that adds real-value to your organisation. The course covers current principles on Pharmaceutical Quality Management Systems (PQMS) and includes the FDA’s “Guidance for Quality Systems” and ICH Q10 “Guidance on Pharmaceutical Quality Systems”. These guidelines explain the evolving nature of QMS thinking, with a focus on organisational effectiveness and efficiency rather than just product quality and GMP. We also include the ramifications to a pharmaceutical company of the recently updated EU GMP Chapter 1 on Pharmaceutical Quality Management Systems and Chapter 2 on Personnel. These both have a major impact on the role of Top Management within an organisation. Delegates will leave the Pharma Quality Management Systems course with a clear understanding of how to successfully integrate GMP, ICH Q8, 9 & 10 and ISO 9000 principles into a compliant, effective, efficient and continually improving QMS for the whole business, as well as the role of Quality Personnel in re-shaping quality thinking to move with the times to meet today’s business challenges. This Pharma Quality Management Systems course is aimed at busy professionals working in the Pharma industry who need to understand how a forward thinking modern Pharmaceutical Quality Management System can add real-value to their organisation. It is especially valuable for Quality Professionals, especially those working in Quality Assurance and Quality Improvement roles, as the course provides an eye-opening view of modern quality management thinking. VAT will be charged for delegates doing the course who are based in the UK. However delegates from outside the UK but within the European Union (EU) will not be charged VAT if they supply their own company’s national VAT number when booking. VAT will not be charged for any delegates from outside the EU. Access to the on-line learning platform for 12 months. Course notes containing copies of slides, notes and handouts. A course certificate on completion of the course. This course is of about 25 hours duration – the equivalent to a 3-day classroom based training course. The chapters of the course are each done in your own time. Work through the course materials when you like! The course is presented in short bite-size chunks with assessments throughout to check your understanding. Tutor support is available via telephone and email. Once you are assigned to the Course you have 12 months to complete the programme. To try a free Taster course including 3 Chapters of the programme subscribeby clicking on the link in blue in this sentence. The benefits of this programme? Course notes (delegate pack) available to print and keep. Do the course when you like – no need to attend on specific days. Convenience – access anytime at home or at work. All you need is internet access and a computer, iPad, iPhone or tablet. Assessments throughout the course to check understanding. Tutors contactable via phone or email (UK office hours). The course fee is the price you pay – no hidden or extra costs of travel, accommodation and meals. Why not give us a try? Others have and were really impressed. To try a free Taster course including 3 Chapters of the programme subscribe by clicking on the link in blue in this sentence. Peter is arguably the finest Quality Management Systems tutor in the business, his enthusiasm for quality system thinking and his outstanding training abilities have gained him international praise and appeal. He is an IRCA registered Quality Management Systems Lead Auditor. Peter is an enthusiastic trainer with over 30 years of quality and industrial experience, including spending the past 15 years working closely with pharmaceutical organisations small and large. 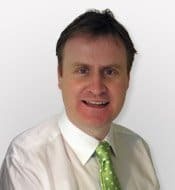 Dominic Parry has worked in the pharmaceutical industry since 1992, and is a leading pharmaceutical quality management specialist. He is generally recognised as one of the leading GMP trainers in the UK and brings an enormous amount of interest, enthusiasm and fun into the training he presents. Ron has been involved in the learning and development industry for over 20 years. He is a Fellow of the Learning and Performance Institute and in 2004 received the LPI ‘Colin Corder’ award for outstanding services to the training industry. He is the architect behind our website and our learning platform and also develops the web-based learning courses that we now offer to support many of our learning programmes. 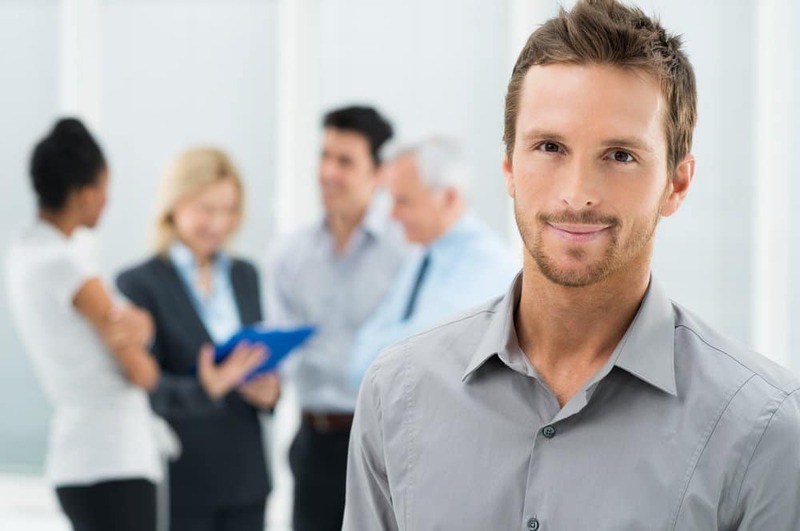 In addition, he also provides general business support on strategy and sales and marketing. The video in this article is part of a unit in our online QMS courses that looks at how to implement a Quality Management System and, in this video, we look at the first principle associated with such implementation – that of adequately assigning roles and responsibilities. This article will consider the concept of “quality” and looks at how a range of experts in this field have arrived at various quality definitions. An audit report is an essential part of the audit and this article lists the key items that you should ensure are in your audit report contents. A Quality Manual – what is it and what should it contain? A Quality Manual is a very useful document that not only gives guidance and direction to an organisation’s own personnel, but gives a potential customer, inspector or auditor an appreciation of an organisation from the outside. If designed well it can be used as a tool to sell an organisation, to show what a positive quality ethos they have and can show how good an organisation is and how seriously it takes its Quality Management System. As with everything else in life, planning is everything. An audit is much more effective for everyone concerned if the auditor takes a short amount of time to plan the audit correctly. This article incudes a checklistlist of things to include in the planning of any effective audit. Read our articles on QMS regulatory developments as well as news about our QMS training courses. We help people in Pharma organisations to continually improve their regulatory systems to gain competitive advantage and ensure compliance. We offer a wide range of highly praised and respected classroom and online training courses and also provide our global pharma clients with consultancy support. Our classroom courses are available on a public schedule and also can be customised for inhouse delivery at a client site. All pharma training courses held in Reading UK unless stated otherwise. Click on course name for full details. For all 2019 dates select the green 'See all Courses and Dates' button above or to the left. Each course typically consists of 10-20 minute chapters of content followed by a quiz based assessment. The QP courses feature tutor assessment too. The learning is accessed over the internet using desktop computers, laptops, tablets and even smartphones. Why not subcsribe to our mailing list to try a free Taster of these courses to see if they are of interest? If you book a course online then you may also want to pay by Credit Card. You should note that we use PayPal to take your payment details. This does NOT require you to sign up for a PayPal account. See below.